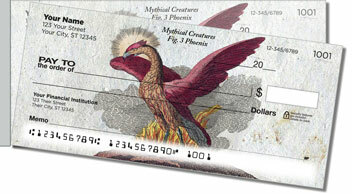 Four creatures from the fantasy world come to life on this peculiar set of side-tear checks. You'll find the well-known dragon and unicorn along with the Phoenix rising from the ashes. 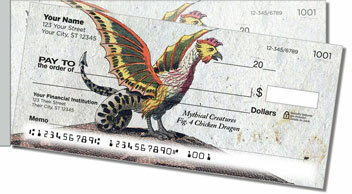 There's even a chicken-dragon, also known as a cockatrice. All of these legendary monsters have played important roles in legend and lore. Now you can put their magical powers in your pocket. We can't guarantee they will balance your checkbook...but you never know! The conveniently shorter side perforation is almost like magic. 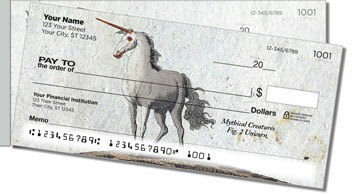 It will prevent you from ripping checks when you pull them from the pad. 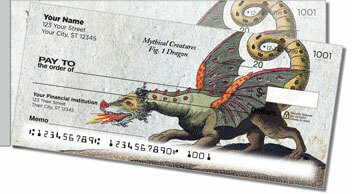 Get your own Mythical Beast Side Tear Checks now! 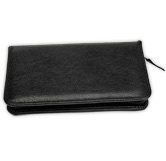 CheckAdvantage also offers matching labels, a custom checkbook cover and free shipping on all three!